Quality budget eyeshadows are hard to find. Although the drugstore eyeshadows have gotten better over the years, they can be hit and miss still. 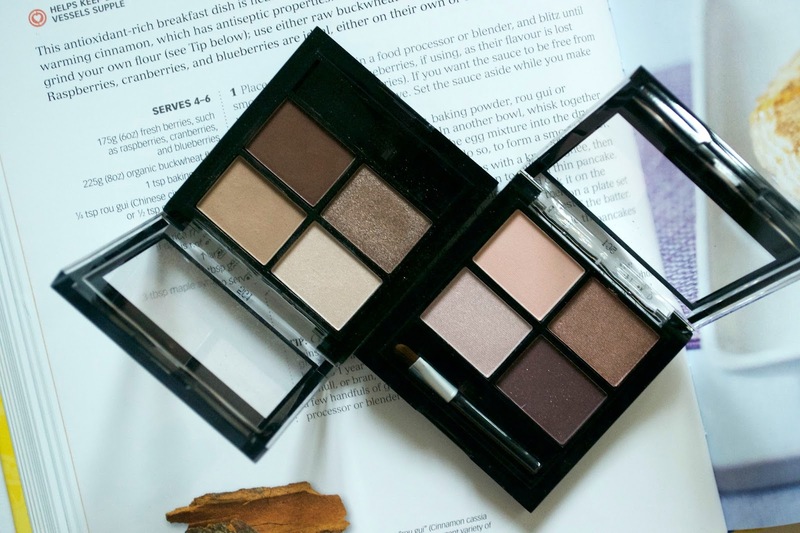 Yes, there are the Collection palettes (swatches here), however there hasn't been many other budget brands that have a palette with a good choice of colours. 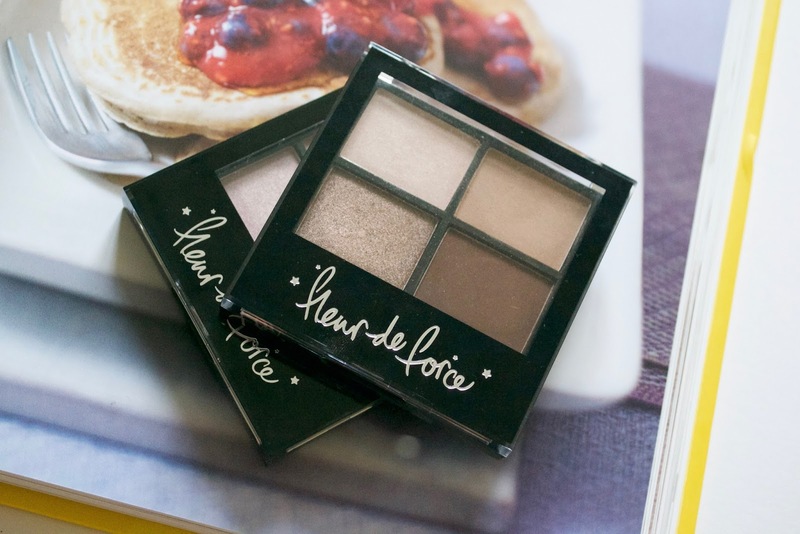 Just before Christmas, I was sent the Fleur de Force Eyeshadow Quad in Cosmic Bronze. The packaging is as expected, on par with other high street eyeshadow palettes. There is a brush included, it's not the usual sponge ones, so you could potentially use it to pack on colour, if you needed to. The best part are the eyeshadows themselves - the quality is surprisingly brilliant. The consistency of the shadows are really fine, making them pleasant and easy to blend. The colour pigmentation is really vibrant, so you don't need to keep packing on the shadows to see colour. 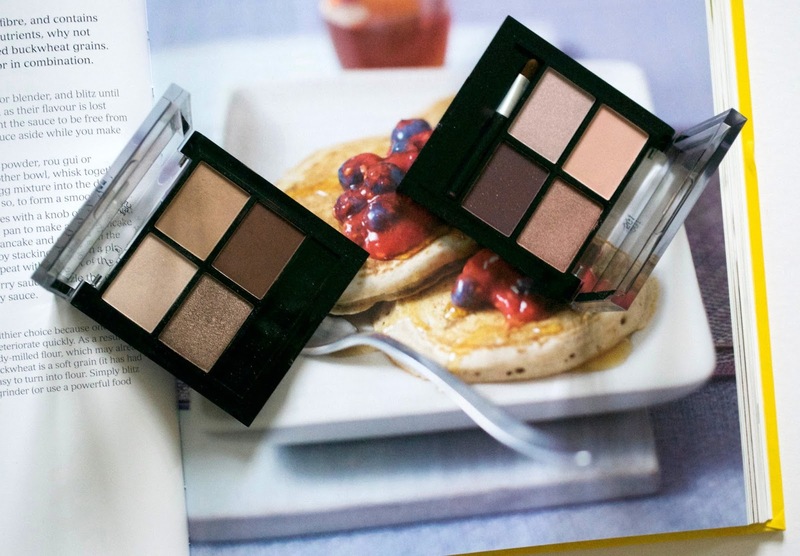 The shimmers, the mattes - both types of shadows have exceptional formula and colour payoff. The shades are Coconut Cream, Taupe Brown, Mink Shimmer and Cocoa Brown. 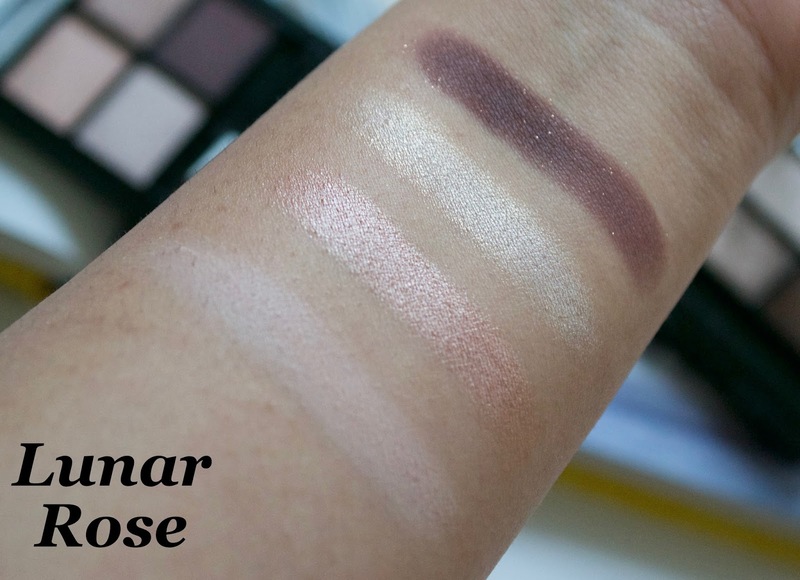 Taupe Brown is so great as a transitional shade and to blend any eyeshadows! I've also use Cocoa Brown as a liner with an angled liner. Really versatile quad! 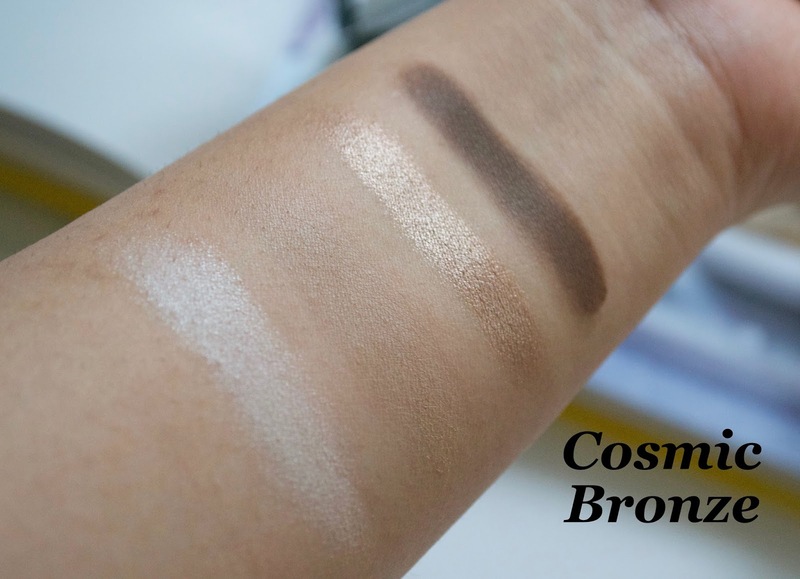 I was so impressed with Cosmic Bronze, that I wanted Fleur de Force Eyeshadow Quad in Lunar Rose too. As I went looking for it on FeelUnique - it was on sale for £1.55!!! Down from £7.99! It was obviously my lucky day! Once it arrived, I eagerly unpacked to see how good it was and it was just as impressive. No matter what the shade was, the consistency of the powders were unchanged. The shades are Baby Pink, Rose Gold, Shimmer Rose and Soft Mauve. The only thing I thought about Lunar Rose is that the dark purple shadow has specks of gold glitter, which I don't think adds anything to the shadow. It looks pretty in the pan, but when applying you can't see it much. Glittery eyeshadows sometimes irritates my eyes, so I have to be careful when blending as to not get too close to my lash line. That's the only thing I didn't like. I cannot fault a thing about the eyeshadow quads otherwise. Out of the two, Cosmic Bronze is my favourite, I just love the shadow selection and it gets tonnes of wear! I really hope Fleur brings out more of these eyeshadow quads as I for one, would absolutely buy them! Great quality products that are very rare at these price points. What's been your recent favourite beauty find? Let me know in the comments below or tweet me @aspiring_london!